If you can?t decide what?s more important: cool style or cozy comfort, you?re in luck. 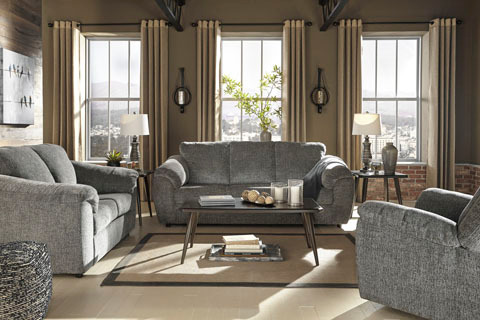 The Azaline sofa is the perfect compromise. Covered in a decadently plush yet practical fabric, this exceptionally chic sofa in slate gray entices with indulgently thick pillow top armrests sure to please. And the comfortable price might well put you at ease.